Since 2011, I was a member of the Conservative Party Board which oversees all aspects of the running of the Conservative Party. From 2015 to 2018, I was the Deputy Chairman of the Board through my role as Chairman of the Conservative National Convention. During my time on the Board I had specific responsibilities for membership, finance & audit and candidates. I have represented the membership, as an elected volunteer, for over 20 years and was awarded an OBE for political services in 2015. The membership of the Conservative Party was historically exclusive to each autonomous association, there was with no central database. This meant not only was it impossible to accurately know the number of our membership but also made it extremely difficult to communicate effectively with our members. Over the course of two years, I worked with our 636 independent associations to move to a centralised membership system. Since its inception there have been a number of benefits including: a significant improvement in membership retention, an increase in membership subscriptions and donations in addition to much improved communications. All of this leading to a better membership experience. It has had a transformative effect. As Chairman of the National Convention, I sat on two significant reviews of the Party. The first review concentrated on a programme of modernisation that led to a much better performance across our target areas in the 2015 General Election. The second review was as a result of the 2017 General Election. I initiated and oversaw a process by which we gained feedback from those on the ‘ground,’ was part of a panel which interviewed key decision makers and interpreted available statistical information which led to 117 recommendations for change. After the review, I was responsible for the implementation of those recommendations relating to the Voluntary Party structure. I was a member of the Northern Board (addressing issues affecting the North of England). I was also Chairman of the Yorkshire & the Humber Regional Board. During my time in office, we successfully introduced two significant changes: Open Primaries (selection of parliamentary candidates by electors rather than exclusively Party members) and the development of Campaign Centres. 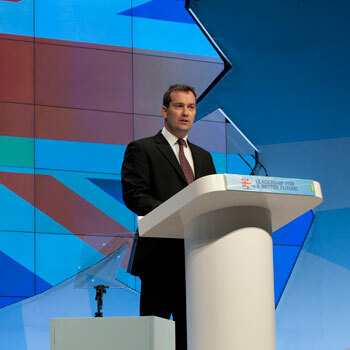 In 2014, I chaired both the Party Conference the conference organising committee. This was the last conference before the 2015 General Election and gave the Party the springboard to gain a parliamentary majority. Chairman of the Constitutional Committee that looked at possible changes to the Party’s constitution. In 2016, I worked closely with Sir Graham Brady in the election of the Party’s new leader. Chaired twice yearly meetings of the Conservative National Convention and their Spring Forums. I was a member of the Finance and Audit Committee for 7 years including 4 as its Chairman. The committee oversaw the management accounts, cash flow and auditing requirements. I have, in my various roles, been asked to comment and provide analysis on current political events, issued press statements and written a number of political articles.